The most interesting thing about WPP Group’s first quarter financial results were not the numbers, but its chief executive’s obiter dicta. The numbers themselves were a curate’s egg. They beat the revenue forecast, bizarrely enough they delighted in Britain, but they disappointed in the United States. Which is just about the only part of the world economy currently showing signs of dynamism. The obiter dicta, on the other hand, were curiously memorable. WPP CEO Sir Martin Sorrell used the occasion (well, near enough: he was actually speaking at the FT Digital Media Conference the previous day) to highlight a singular phenomenon. So far as his company is concerned (and it is, after all, the number one spender of advertising money in the world), Google will soon become a bigger destination for his clients’ money than the biggest traditional media owner in his stable, News Corporation. Google is currently in receipt of $2bn of WPP’s quarterly spend; while NewsCorp gets about $2.5bn. But, given the Google figure represents a 25% increase year on year, it can only be a short time – Sorrell assures us – before the search giant moves into pole position. I say “search giant”, but that of course is history. Sorrell’s underlying point is that Google – after some initial fumbling – has made the transition from a techie company, peopled by nerds, into a multi-media corporation with global reach. He calls it “a five-legged stool”: there’s search (of course); display advertising; social media (google+); mobile (via Android and AdMob); and video through YouTube. Note well where Sorrell places his chips, however. 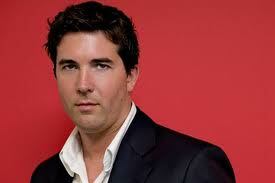 From an advertising point of view, the Age of Google (as he calls it) is primarily defined by video. YouTube has made big inroads into what traditionally would have been television viewing. He’s bullish about mobile, too: Android is now the most popular smartphone platform and in some developing markets, like China, it accounts for two-thirds of all mobile sales. But social media: Oh dear, what an advertiser’s no-no! Yahoo, though generally lacklustre these days, garners about $400m of WPP spend. Facebook, infinitely more successful with its audience figures, receives only $270m. And Twitter a lot, lot less. What’s the logic? Well, Yahoo “gets” the commercial need for a five-legged strategy (indeed, TechCrunch speculates it is about to buy Dailymotion, a smaller competitor to YouTube). Whereas Facebook and Twitter do not. 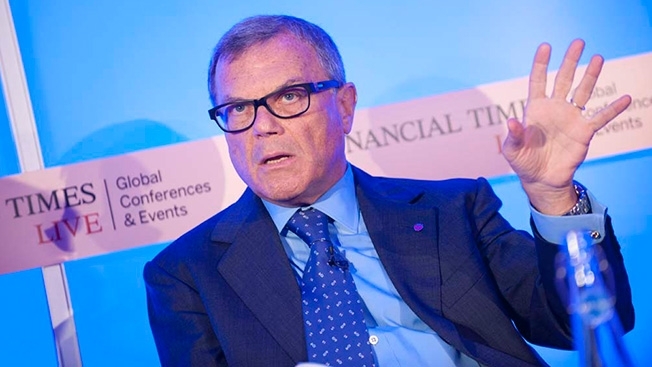 Facebook, Sorrell reckons, is important for brands – but in a negative sense – absence of criticism, which has little to do with any advertising content. Twitter, on the other hand, is simply a PR medium with almost no value to advertisers. That last may sound a little harsh. And is certainly not a universally accepted view among admen. 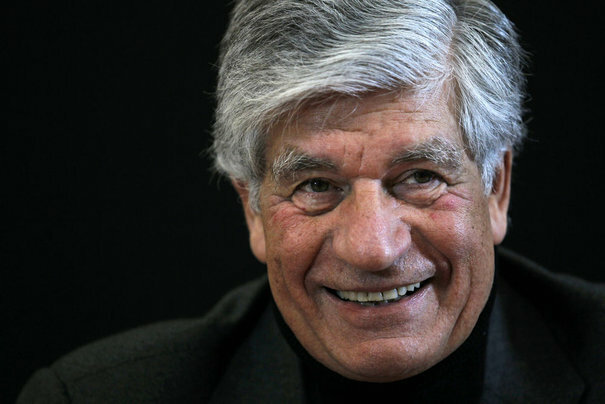 Significantly, it is not shared by Sorrell’s deadliest rival, Maurice Lévy – chief executive of Publicis Groupe. Lévy has just announced a four-year pact with Twitter which will involve PG’s media planning and buying arm Starcom MediaVest Group committing up to $600m of client money to monetizing Twitter’s audience. Details, at this point, are sketchy. It is clear, however, we are not just talking “pop-ups” here. Lévy makes specific reference to video links and “new formats” yet to be developed. He admits to there being “some risk” involved in the project, though whether this relates to his own reputation, clients’ money or both is not apparent. Unmistakable stress signs among competitors appear to herald a tectonic shift in the smartphone sector – to Apple’s advantage. One rival RIM – maker of Blackberry – has retired hurt from the consumer ring. Another, Apple’s principal adversary in the field, is having to carefully rethink its ‘open-door’ strategy. No surprise, perhaps, that the cracks are appearing at RIM, which has been heading for the casualty ward almost since the iPhone first appeared. After a disappointing financial year and downright disastrous Q4, new RIM chief executive Thorsten Heins has cleared out most of the old guard, including former co-CEO Jim Balsillie – still on the board – as well as the COO and CTO. And announced at the same time that RIM is all-but jettisoning the consumer market in favour of the business and public sectors. At very least this means RIM will cease to develop content and music services. But the strategic review could signal a lot, lot more where that came from. Why exactly should business and government be interested in propping up the failing Blackberry brand, just because consumers aren’t? Even if they are, would RIM – so pared – still be a scalable global business? These are two of the questions Heins has, understandably, failed to answer so far. And yet, even at this stage, he has admitted that the future is “outsourcing” and possibly a trade sale. Echoes of Palm here, the PDA innovator which – despite a superior operating system – was eventually gobbled up by Hewlett-Packard. More nuanced than Blackberry’s rout is Google’s response to worsening sales figures in the most hotly contested smartphones sub-sector, tablets. Here, Android-powered product is being squeezed by the exotically priced but more glamorous iPad (entry-level, $399) and the bargain-basement ($199) Kindle Fire, made by Amazon. Reportedly, the search and smartphones titan is preparing to sell Google co-branded tablets directly to consumers through an online store. That shocking, you say. So what? Superficially, Google adding its awesome brand to the Android-powered tablet platform looks like a sign of strength. But that’s not what the techno-commentariat to a man and woman believes is behind the move. On the contrary, they say, Google is attempting to shore up its position in a fracturing market. Unlike Apple, which maintains a dictatorial control over its operating system at all levels of innovation, manufacturing and distribution, Google has always favoured a laissez aller approach. 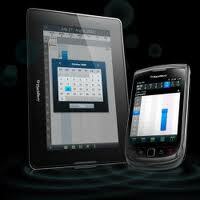 By opening up its Android operating system to outside manufacturers such as Samsung, HTC and ASUS. This strategy has the merit of reducing development costs and potentially speeding up market penetration, with the corollary of making a killing in the apps field. If it succeeds, that is. But the downside is a lack of quality control; meaning that the Android brand and, indirectly, Google will be tarnished by the poor performance of its weakest collaborators. It is this perception of fragmented user experience that has driven Google to intervene more directly in the market by taking over distribution. With what effect we shall see. Commentators have been quick to point out that Google has tried this stratagem before, with the HTC-manufactured Nexus One smartphone. And failed. The co-venture was shut down in mid-2010. The mountain shuddered in labour – and produced a ridiculous little mouse. The mouse in question is the iPhone 4S; the mountain, the hyperbolic rumour machine which would have had us believe, until the very last moment, that Apple was in fact launching the no-doubt-iconic iPhone 5, instead of a mere upgrade. If the result has been widespread disappointment, the secretive folk at Cupertino, California, have only themselves to blame for their botched PR. Journalists, rather like Nature, abhor a vacuum. And when there is only rumour to fill it – owing to Apple’s paranoid obsession with controlling every detail of a launch – this is the sort of thing that results. As far as I can tell, the foundation of these “iPhone 5” rumours was some cryptic remarks made by former US presidential candidate Al Gore at the Discovery Invest Leadership Summit in South Africa. Gore is an Apple non-executive director (which is why he was believed) and he let slip that Apple would imminently be launching two models, dubbed the 5 and the 4.5. I have no idea whether this was simply mischievous misinformation, or Gore himself being ill-informed and indiscreet. Believe me, the latter would not be surprising, even at board level. Apple prides itself on a degree of internal information control, policed by fear, that would have been the envy of the KGB. It’s not your job title that counts in this corporation, but how much you can reliably piece together from your internal contacts just before a big launch. Under a supremely capable autocrat like Steve Jobs, this system of divide and rule has worked well for Apple. 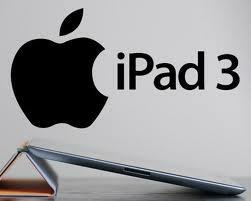 It remains to be seen whether his successor, Tim Cook, will be equally successful in manipulating it. Early signs are not promising. The iPhone 4S, which will appear in the UK on October 14th, may not be the great technological leap forward that was expected. But it is a useful and innovative launch whose value will probably be dissipated in the flotsam and jetsam of deflated hype. Point one: it embodies Apple’s latest operating system, iOS 5. This, among other things, will give Apple a better handle on technical elements of its Android competition, by allowing customers to access cloud technology that dispenses with the need for desktop computers when downloading music, photos and apps. Point two: the 4S launch will now allow Apple to start offering the older 3GS phone free with a contract. By making iPhones more attractively priced at the lower end, Apple may well be able to blunt Google’s growing stranglehold on the total smartphone sector. And not before time. Recent research released by Nielsen reveals that, within the UK market over the past 6 months, 44% of smartphone purchases were powered by Android, well ahead of RIM/Blackberry’s 25% and Apple’s 18%. Premium pricing and its “walled garden” operating system put Apple at a disadvantage when it comes to market share. Interestingly, however, Apple products seem to inspire the most loyalty, with 86% of iPhone users saying they were “highly satisfied” compared to 74% of all smartphone users. Which is all very well, except you’ve got to persuade the blighters to buy your product in the first place before you can inspire such laudable brand loyalty. UPDATE 6/10/11: Appropriately, perhaps, the pithiest epitaph to Steve Jobs, who died late last night, can be found on Twitter: “Three apples changed the world. First one seduced Eve, 2nd fell on Newton and 3rd was offered to the world half bitten by Steve Jobs.” Or minor alternatives to the same effect. Say whatever else you like about Google’s $12.5bn acquisition of Motorola Mobile, it’s a landmark deal, defining a new inflection point in the evolution of mobile communications. How it will do so is another matter. Commentators are widely divided over its ultimate objective or even whether, all things considered, the deal will benefit Google. Microsoft's Steve Ballmer: Last laugh? Let’s start with something concrete: the high price. At $40 a share, paid in cash, Google’s offer represented a handsome 63% premium to the smartphone maker’s share price at the end of last week. Even allowing for the currently flustered state of world stock markets, that suggests a measure of desperation on Google’s part to get the deal done. Why pay so much? Motorola may once have been a great mobile handset brand. 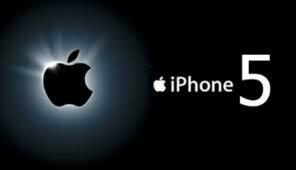 But today it commands no more than 2.4% of the market that matters, smartphones – according to analyst Gartner. Some would suggest that calling Motorola a brand at all is to miss the point. In their eyes, the deal is little more than a defensive gesture, aimed at raiding Motorola’s 17,000 innovation patents. These will bolster the already near-dominant position of the Android operating platform by allowing Google to segue, for the first time, directly into hardware development (tablets in particular). By so doing, Google thinks it will obviate increasingly destructive IP litigation. Mountain View now sees this as the tactic of choice deployed by its principal competitors Apple and Microsoft to slow up Android’s inexorable advance. Like caltrops strewn in the road to block a triumphant cavalry charge. No less significantly, the Motorola acquisition will enable Google to improve Android user experience. Complete control over a handset manufacturer will mean, in theory at least, fewer glitches (compared with, say, the already intergrated iPhone experience) when it comes to software upgrades. Which in turn means more happy customers and apps developers. So far, so positive. But, from here on in, the deal looks more risky. Google may not choose to highlight the issue of brand conflict, but Motorola’s competitors most certainly will. And it just so happens that some of these competitors, namely Samsung, HTC, LG and Sony Ericsson, are Android’s most important customers. Without them, their awesome distribution and massive marketing budgets, the “inexorable” advance of Android would be stopped in its tracks. So Google will have to work very hard at convincing them that Motorola will not get first-mover advantage in the event of some major piece of market innovation. Cynically, Google may well have calculated that Android’s other “carriers” have little choice but to toe the line, there being no visible alternative to its own operating system at this moment. But that would be to underestimate Microsoft (never a wise thing to do) and what is likely to be the most significant and unforeseen consequence of the Motorola deal. Which is: Microsoft buying Nokia – still the biggest, if no longer the best, mobile phone brand. That would indeed be an irony. Without the catalyst of the Google/Motorola deal, Microsoft and Nokia might never have been able to convince their shareholders to go the whole hog and commute a peripheral collaboration deal into a fully-fledged merger. With what consequences for Google and Apple we can only guess. As a headline grabber, it isn’t quite up there with the search giant’s big news of the week – ‘Google and Heineken seal ad partnership landmark‘. That deal, which involves a sizeable chunk of Heineken’s €2.1bn global advertising budget being poured directly into Google inventory such as YouTube is indeed a ground-breaker. And a deeply worrying one at that for ad agencies, who must now face up to the possibility of other major packaged goods companies “disintermediating” them with extreme prejudice from the digital deal. No, this was a much smaller scale event, but in its way just as significant. It demonstrates the skill with which Google micromanages the digital ecosphere, as well as macromanages it. I’m talking about the launch this week of Google Mobilize at the annual ThinkMobile jamboree (now soaring to 500 attendees). What is this product? It’s a remarkably simple means of SMEs creating their own mobile sites free of charge (including analytics), thanks to an almost foolproof Google template. Unimpressed so far? Well let’s look at some of the thinking behind this low-key launch. As you will know, mobile traffic is soaring. Here are some key statistics, which I quote courtesy of Ian Carrington, Google’s UK mobile advertising sales director (so bang up to date, really). Last year, mobile traffic quadrupled. 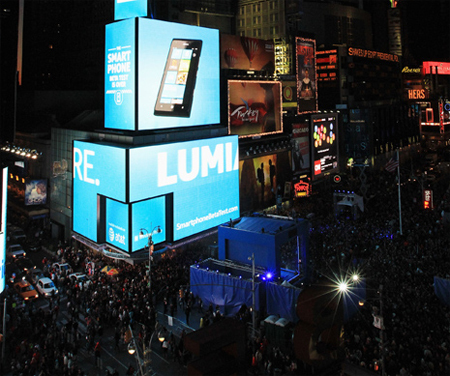 The number of handsets in circulation doubled from 500m to 1bn. In Q4 last year, smartphone sales surpassed sales of PCs for the first time – 2 years ahead of the forecast by the world’s most respected expert on the subject, Mary Meeker. Last year, 36% of the UK mobile-owning population (pretty much everyone) had a smartphone, up from 24% the year before; this year penetration is expected to hit 50%. You get the picture. Sales of smartphones, especially Android-powered ones, are going gangbusters. And, not surprisingly, people are increasingly using these objects of desire to make purchases on the hoof: 28% who own a phone have done, or have tried to do so, I am told. Ebay has risen to this challenge magnificently. Last year it did over $2bn of e-commerce via smartphones. It even manages to sell 4 Ferraris a month over via m-commerce. Alas, most retailers can’t keep up with this heady pace. The number of mobile-enabled websites is, I’m told, criminally small. Google claims only 17% of its top advertisers have “mobile-optimised landing pages”. Most retailers still rely on a boiled-down version of their PC website, which is not very user-friendly of them. So Google is helping them out, with a loss-leader. However, the “free” part of the deal applies only to SMEs (the butcher, the baker, the candlestick maker). Bigger companies will have to to dig into their own pockets. By swamping the local market with free and easy-to-use product, Google hopes to pre-empt any third-party competition and “own” the SME m-commerce sector. Awesome, as they say over at Mountain View – and just another example of the search giant’s crafty attention to detail. Nothing dates quite like fashion, and nowhere is this truer than the technology sector – as Blackberry-maker RIM and Nokia are finding to their cost. In 10 years’ time, it’s conceivable that Blackberry will be no more than an extension in someone else’s brand repertoire, and Nokia – still, if only just, the market-leading brand in handset manufacturing – will have no more resonance than Ericsson does today. They are the brand equivalents of Shelley’s Ozymandias. Salience in the consumer technology sector is all about keeping abreast of the latest trends. And it is clear that Nokia and RIM have not. Nokia has failed to conquer the smartphone market, while RIM has failed to continue dominating it. Both companies are now beset by lengthy delays in product launches, increasing investor pessimism and, that natural corollary, plunging share prices. At a technical level, both these companies seemed singularly blind to the two-pronged threat from the iPhone and Android operating system until it was right on top of them. Nokia has belatedly discovered, under its new chief executive Stephen Elop, that its smartphone operating system is not up to snuff and is having to broker a last-minute and doubtful marriage with Microsoft’s superior version. RIM, on the other hand, had grown complacent about its apparently unassailable position in the elite corporate sector, with the result that it failed to adequately prepare for the advent of the touchscreen phone and the 10in tablet. A case of sclerotic corporate cultures fatally mesmerized by their legacy of previous success? Only up to a point. Nokia and RIM, looked at more strategically, are victims of haphazard technological convergence. Who, 10 years ago, could have seen that mobile communications would come to be dominated by a formerly ailing computer manufacturer and an ingredient brand dreamed up by the world’s largest search engine? And who, even once the trend had become established 3 years ago, would have had the corporate courage, or foolhardiness, to bet all their assets and legacy on it being the inexorable path of the future? It’s a sad truism that companies spend billions of dollars every year on insight and trend-spotting. But usually lack the judgement or willpower to make proper use of it.